10 December 2014. An analysis of research studies comparing organic to conventional farming shows conventional techniques have greater yields, but by a smaller margin than previously thought. The team led by environmental scientist Claire Kremen at University of California in Berkeley published its findings in today’s issue of the journal Proceedings of the Royal Society B (paid subscription required). The researchers used a new analytical framework, which they say better accounts for variability and structure of the data. With this change in approach, the team found conventional methods still had higher yields overall compared to organic techniques, but the 19 percent difference is smaller than reported in previous work. In some cases the difference in yields between conventional and organic techniques were too small be statistically reliable. 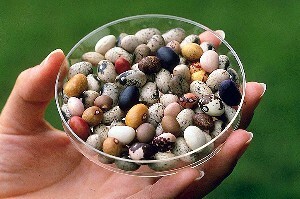 One example is leguminous crops, such as beans, peas, and lentils. The researchers also found some organic crop methods more successful than others in competing with conventional techniques, specifically crop rotation that reduced the difference in yields to 8 percent, and growing several crops together on the same field that closed the yield gap to 9 percent.